Insuring the skimmer and pump basket are clean is essential for the proper maintenance of your pool. Blocked skimmer or pump baskets can restrict the water going into the pool. This can cause the pump to work harder and possible seal failure. Once the seal fails, the motor is likely to be damaged and result in failure of the motor. • Switch off the heater; allow water in heater to dissipate the heat before turning off the pool pump. • In some cases, shut skimmer and main drain valves. • Reinstall pump basket. Don’t over squeeze the basket. • Examine the pump lid and o-ring for damage or cracks and grease pump lid with a light coating of silicone grease. Make sure the o-ring is clean, a single leaf, grain of sand or hair can cause the lid not to seal properly. • Put the lid back in place, Do not over tighten. If it is necessary for you to tighten the lid to get the pump to prime, the o-ring might need replacement. • Open the skimmer and main drain valves if closed. • Turn on the pool pump. • Use filter air bleed valve to remove trapped air. • Turn on Pool booster pump and heater. 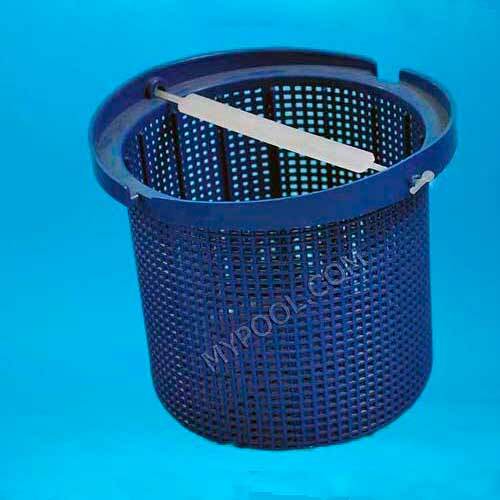 My pool is the leading suppliers of Swimming pool skimmer baskets, Swimming Pool Pump Baskets, swimming pool air blower, swimming pool filter parts and other essential pool accessories. Contact us to find the best deal available. A swimming pool filter is used to remove debris from the pool. For this, you need a pool filter that is good in quality. In the far distant past it was not uncommon to drain the pool when the water quality deteriorated and refill it with fresh water. All pools today must have a properly sized and installed filter. The size of the filter is determined by determining the size of the pool in gallons and dividing it by Four Hundred and Eighty. The resulting number is the gallons of water that the filter must be capable of handling per minute (eight hours x 60 minutes per hour). For example: 80 GPM. The swimming pool pump must be capable of pumping this number of gallons. There are other factors that should be considered, but this discussion we will ignore them. The pump and filter are sized to the gallons of the pool, the pressure of the filter should be within the normal specifications for the filter. A larger filter will lower the operating pressure and increase the time in-between cleaning the filter. 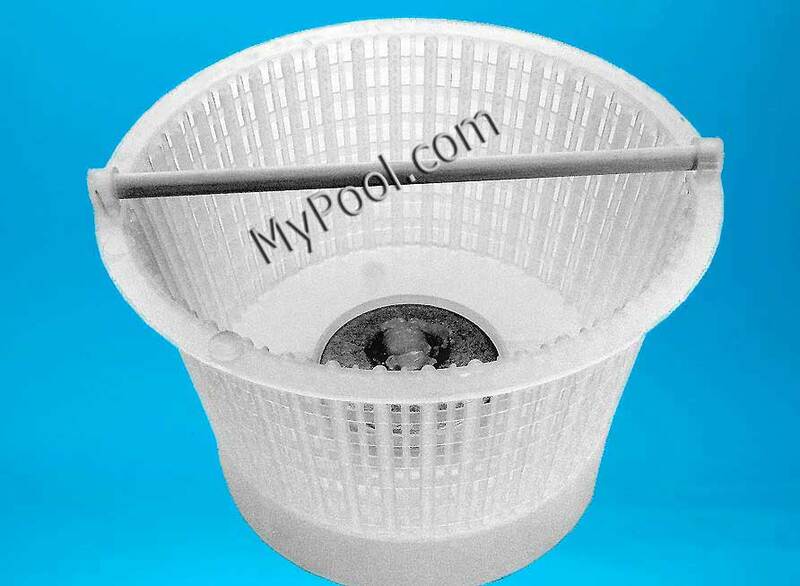 There are three types of swimming pool filters, they are D.E, sand system and cartridge filters. Each has its own characteristics, cost, ease of use, and water quality. Cartridge filters are made of paper like material, supported on a frame. When water comes into the filter, the debris is captured on the substrate and the clean water is passed back to the pool. The cartridge portion of the filter must be replaced periodically, typical every two to four years. While cartridge filters can be used on any size pool, larger pools require larger filters. Replacing these larger filter elements can be costly. Therefore, cartridge filters are best suited for small to medium sized pools. While sand filters are less efficient than cartridges. There ease of use not having to buy replacement cartridges is a great economic advantage. Sand filters, water enters the top of the filter, flows downward through the sand and back to the pool. 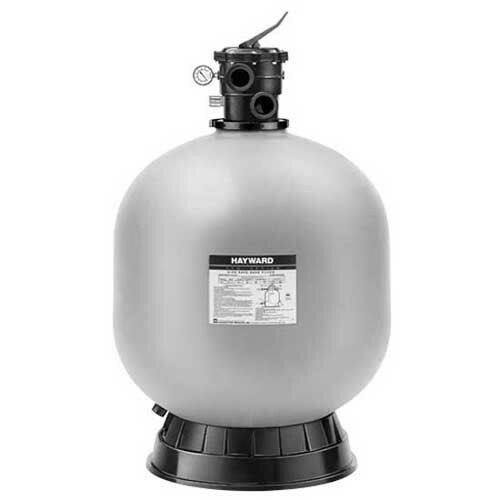 Sand filters are best for medium and large pools. If water quality is maintained properly the sand could easily last 5-10 or more years. D.E. stands for diatomaceous earth, which’s the petrified remains of diatoms, a kind of hard-shelled algae. It’s rough and cruse texture makes it a great, organic filtration medium. D.E. filters produce the finest water quality. The D.E. powder is coated on to a nylon cloth material, the water is passed thru the D.E. thru the substrate and back to the pool. D.E filters are the most costly to buy and medium in cost for on-going expenses. They are best suited for medium to large pools. 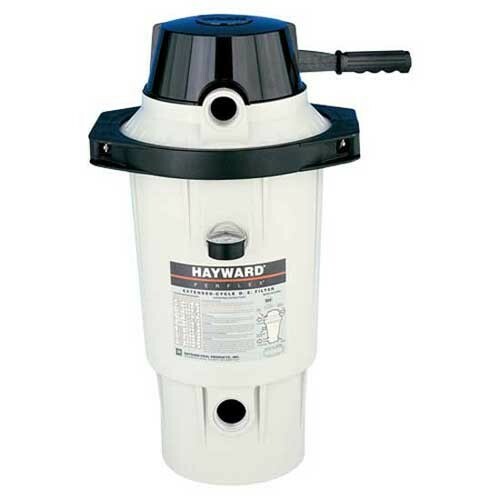 At MyPool.com we have Hayward pool filters and Hayward pool filter parts. My Pool is a leading supplier of Hayward pool products and accessories that are ideal as far as price and quality are concerned. So, feel free to contact us now! 954-442-1066 (EST).